Real Estate can be tricky, it's hard to decide when and where to move. 'This Is Real Estate' is your chance to ask questions, be heard and get honest answers in a no-pressure environment. At This Is Real Estate we will give you a rundown on today's market, compare buying resale vs new homes, offer the strategies it takes to get the best deal on a home and answer any questions you have for a realtor or a lender. Through our blog, newsletter, social media and events we strive to be a community resource for you and your family. This is our way of going beyond the blog, we want to meet with you and hear what you have to say. Our team, along with Home Services Lending has a combined 40+ years experience. We've seen it all, and we know that no question is a dumb question, and no market is easy to understand. To accommodate as many schedules as possible, we are offering this free event on 2 different dates. At our evening event on Thursday, March 29th we will have wine and hors-d'oeuvres. On Saturday, April 7th we will be serving a light brunch, coffee, and mimosas. Due to limited seating in our model, an RSVP is required. 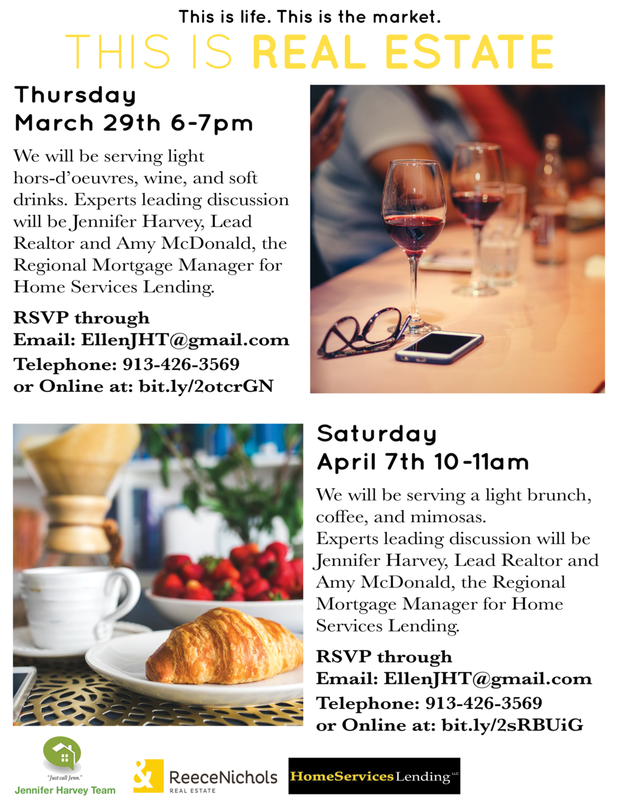 You can sign up for the events below, or by emailing ellenjht@gmail.com.